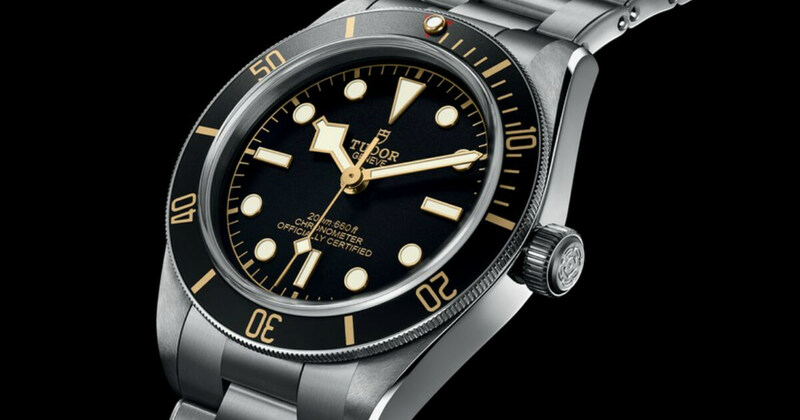 The Black Bay Fifty-Eight is named a er the year in which the first Tudor divers’ watch, waterproof to 200 metres, the reference 7924, dubbed the “Big Crown”, was introduced. Among other aesthetic allusions to this famous historic watch, this model has a 39 mm diameter case, in keeping with the characteristic proportions of the 1950s. It is aptly proportioned to suit slim wrists, people who like more compact watches and, of course, vintage enthusiasts. 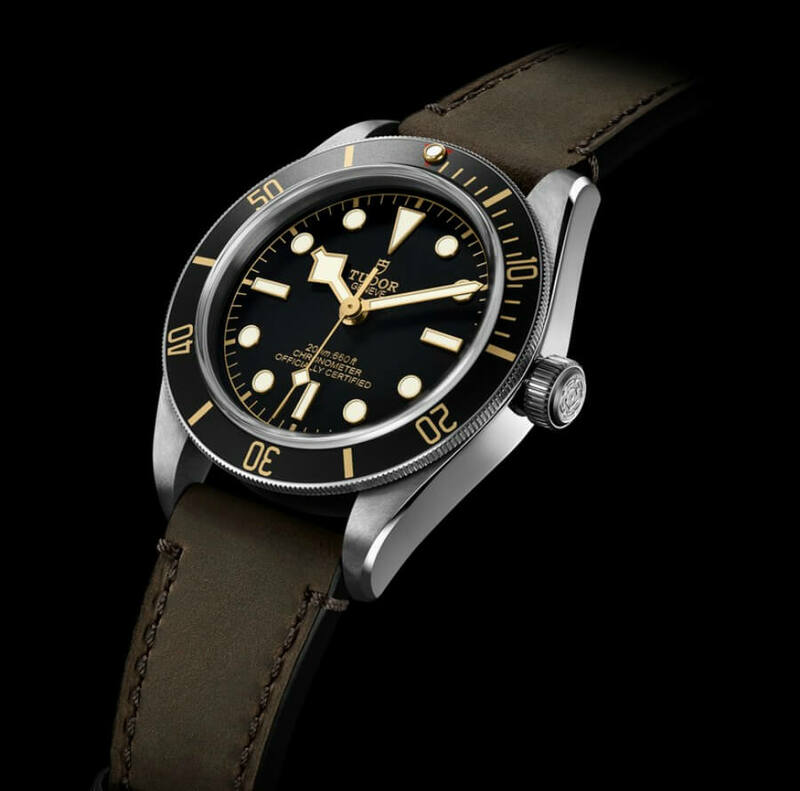 It also comes in a new colour combination – a subtle variation on the aesthetics of the Black Bay line. Evocative of a time when Tudor divers’ watches were first being made, finishing touches in gold have been applied to the hour markers, hands and minute track of the black and steel bezel. The winding crown tube is in satin-brushed steel - a new feature in the Black Bay line - in keeping with the style of the case and winding crown, which bears the Tudor rose logo in relief. The bracelet of the Black Bay Fifty-Eight model is inspired by the folding riveted bracelets of the Tudor watches produced in the 1950s and 1960s. These were famous for having visible rivet heads that attached the links, as well as a stepped construction. These two aesthetic details are incorporated into the bracelet of the Black Bay Fifty-Eight model, integrating modern manufacturing methods using solid links. 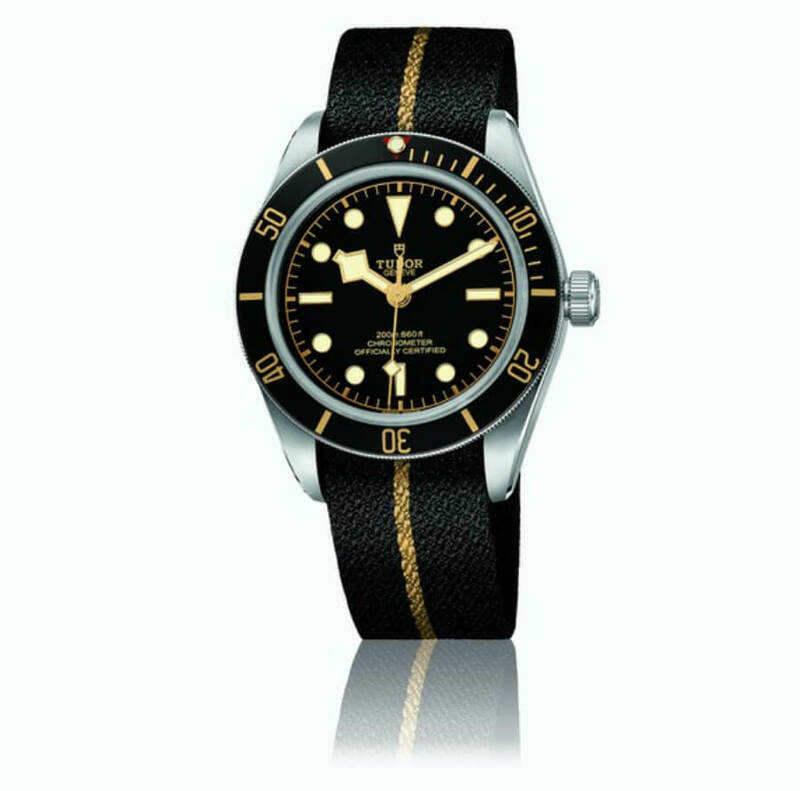 a brown leather strap with a folding clasp or black fabric strap with a gold-coloured band. Made using the Jacquard technique, a traditional method achieved by a 150-year-old family firm from the St-Etienne region of France, this strap is a signature feature of Tudor, which is thought to be a pioneer in this area. 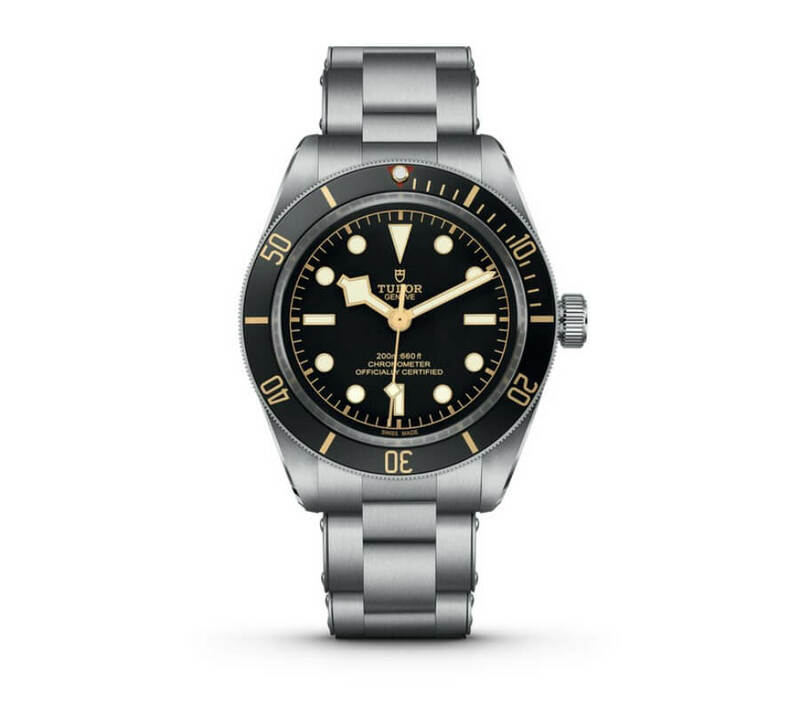 The price for the Tudor Black Bay Fifty‐Eight is CHF 3,100 for the one with leather and black fabric strap and CHF 3,400 for the one with steel bracelet. 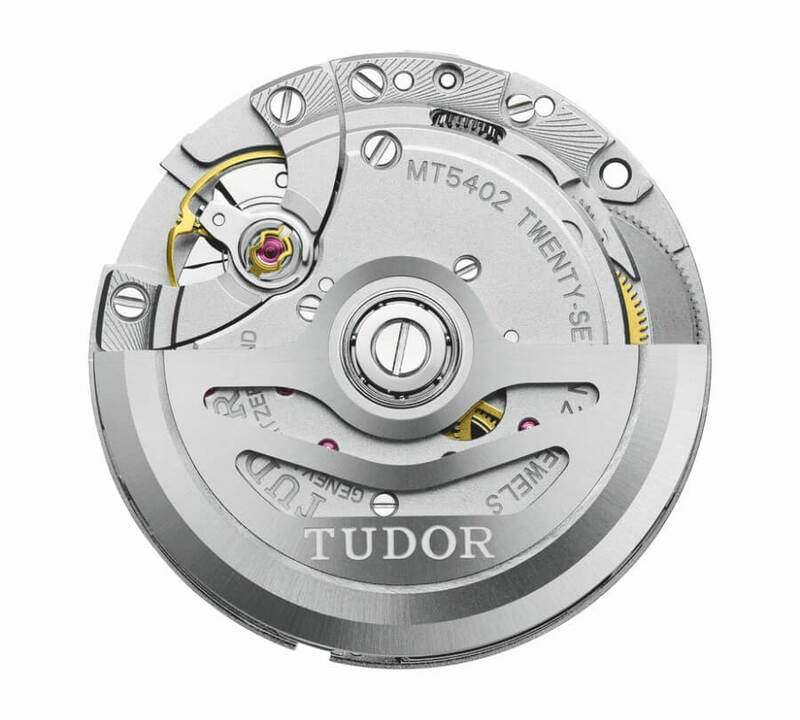 For more visit Tudor Online.